"The Garden State" is shaped like an "S" and is relatively small in size, but its high population, thanks in part to its location in between Philadelphia and New York City, means New Jersey has the highest population density of any of the 50 U.S. States. The state is also notorious for its traffic congestion issues and its law prohibiting anyone in the state from pumping their own gas (with Oregon switching over to self-service on January 1, 2018, New Jersey became the only full-service state). There's a joke that "it's free to get into New Jersey, but you have to pay if you want to get out". 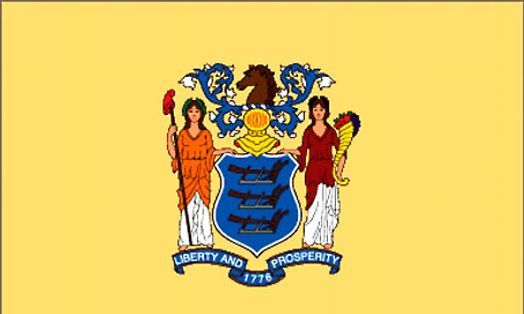 Despite all this, New Jersey does have some things it's proud of, such as the Jersey Shore, which stretches from Cape May at the south end of the state to Atlantic City and further north; rock music legend Bruce Springsteen; the Camden-headquarted Campbell Soup company; and zero-to-hero NASCAR driver Martin Truex Jr. Contrasting with the Shore, a few mountains are present in the northwest corner of the state. New Jersey's most famous highway is without a doubt the New Jersey Turnpike. The Turnpike connects the Delaware Memorial Bridge to the George Washington Bridge; it links Wilmington, Delaware with New York City. The northern half of the Turnpike is part of Interstate 95, which comes in at exit 6 after crossing the Delaware River from Pennsylvania via a Pennsylvania Turnpike connector. The other two major toll roads in New Jersey are the Cape May-Passaic Garden State Parkway, and the Atlantic City Expressway, connecting its namesake to Camden. Non-tolled Interstates in New Jersey include Interstate 76, Interstate 78, Interstate 80, Interstate 195, Interstate 280, Interstate 287 and Interstate 295. U.S. Routes within New Jersey are U.S. Route 1, a Trenton-New York connector, and U.S. Route 9, which comes into Cape May from a Lewes, Delaware ferry and goes up the shore to northern New Jersey's urban areas; routes 1 and 9 share an alignment through the Newark region. U.S. Route 22 parallels and sometimes runs concurrent with Interstate 78. U.S. routes 30, 40 and 322 are all south Jersey corridors that connect Philadelphia with Atlantic City. U.S. Route 130 for the most part follows I-295. U.S. Route 202 is the pathway through north Jersey's foothills. U.S. Route 206 cuts through the middle of the state, from the coastal plain to the aforementioned mountainous northwest. Major New Jersey state routes include the New Jersey Route 42 and 55 expressways, and New Jersey routes 29, 47 and 347. Besides the Delaware Memorial and George Washington, the Commodore Barry Bridge, Walt Whitman Bridge, Benjamin Franklin Bridge, Betsy Ross Bridge and even more bridges provide crossings over such waterways as the Delaware River for New Jersey. For freeway and U.S. Route photo guides for New Jersey, click below.